Jesus did not say “thank you” to the woman’s open praises of his mother for giving birth to him, instead he changed the subject immediately and used the time as an opportunity to teach and counsel for the benefit of the listeners. 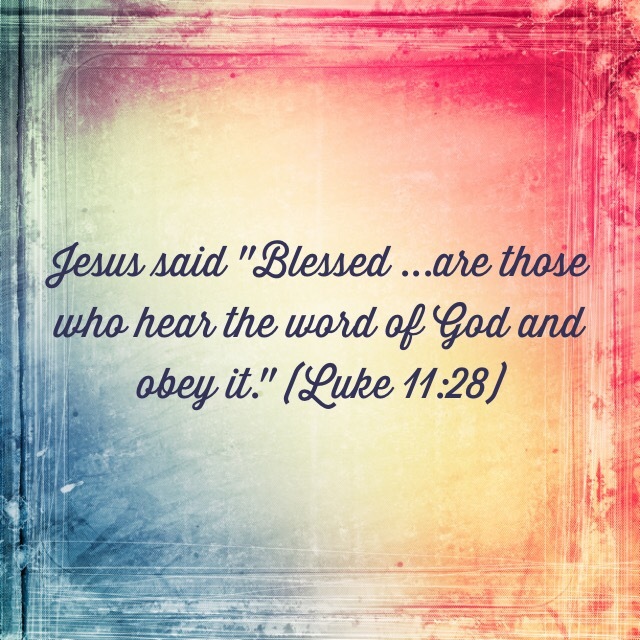 He was saying that the reward of obedience to God is blessedness. This blessedness is of a value that far out ways the blessedness of his mother who bore him. Brethren, in likeness to Christ, whatever we do in service to God which causes people to praise us, our mothers or families should not compel us to loose our focus on our mission or the message which is intended to bring multitudes to Christ or change lives for the glory of God. We should rather seize such opportunities as any other to glorify God in whatever manner befits the occasion as Jesus did in this account. not by mere acts of motion, but out of love for Him in every situation. not out of trembling fear but out of reverential fear of God. not partially but completely, void of the force of the rod. so that as an overcomer from strife, He shall call you blessed and give you the crown of life.